Oak Park Homes | Davie Florida Real Estate. Oak Park is a new, Private Gated Community with 22 Single Family Homes for Sale. These properties are modern in design and are each situated on a 1/2 Acre lot. 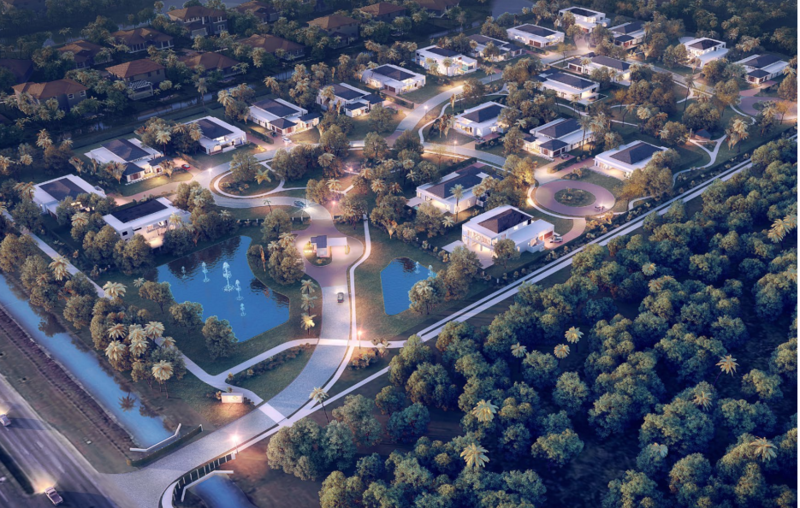 This Luxury Davie Florida New Construction Community sits on 22 Acres. The community also features a 4 Acre Park with Winding Trails and is Surrounded by 50 Mature Oak Trees and can be easily accessed from I- 595 and is just 8 Miles from Fort Lauderdale Hollywood International Airport. These New Construction homes in this lush Green community were designed by Architects Sotolongo, Salman, Henderson. There are 3 exquisite Model Residences to choose from: The Park Central, The Soho House & The Astor House. Each Modern design home comes with a Swimming Pool. Contact us for Floor Plans, Additional Information, or to schedule a private viewing. Search for other Davie Luxury Homes for Sale by clicking here.